Maximum Lift Height: 44 ft. 4 in. Capacity at Maximum Lift Height: 7,000 lb. Maximum Forward Reach: 30 ft. 6 in. Capacity at Maximum Forward Reach: 1,500 lb. Maximum Reach Below Grade: 2 ft. 0 in. Maximum Dump Height: 42 ft. 11 in. Maximum Forward Reach at 45° Dump Angle: 14 ft. 3 in. Dump Angle at Maximum Dump Height: 24 deg. Maximum Loadover Height: 44 ft. 2 in. Maximum Dump Height at 45° Dump Angle: 34 ft. 0 in. Maximum Forward Reach at Maximum Dump Height: 2 ft. 3 in. Rollback at Ground Level: 30 deg. Total Degrees of Bucket Rotation: 132 deg. Hydraulic Reservoir Capacity: 45 gal. Length - Less Forks: 20 ft. 7 in. Wheelbase: 10 ft. 8 in. Turning Radius: 12 ft. 2 in. Overall Height: 7 ft. 11 in. Frame Leveling - Left/Right: 10 deg. /10 deg. The DL9-44 GEN:2 Telescopic Handler is a tool to increase jobsite productivity, develop new business and improve your return-on-investment. Rear axle stabilization system locks the rear axle to the frame if the parking brake is engaged, if the boom is raised 60 degrees or higher, or if the PWP System is activated. Comfort comes standard on the DL9-44 GEN:2 Telescopic Handler, boasting 57 cubic feet of interior space. Three steering modes - 4-wheel, 2-wheel and crab - enhance maneuverability and are easily changed by the flip of a switch. The Remote Boom Control option allows operators to control boom and engine functions from outside the cab. Remote Boom Control can raise/lower and extend/retract the boom, as well as start/stop the engine from the work platform or outside the cab. Personnel Work Platform System allows the use of ANSI/ITSDF B56.6-compliant personnel work platforms for safety and efficiency. 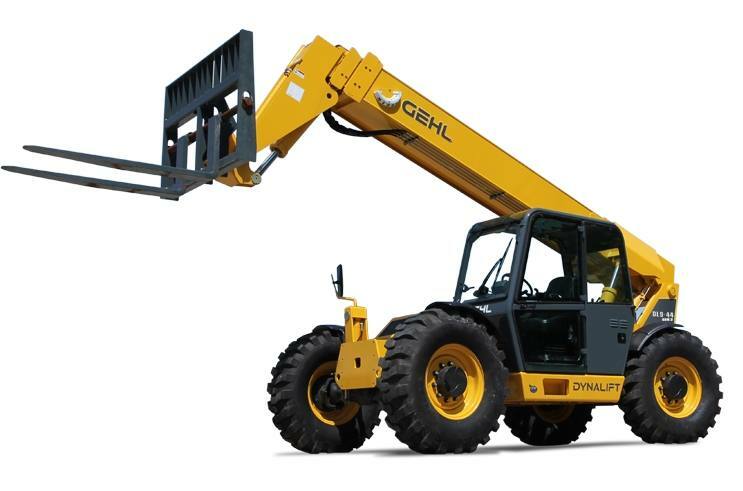 The DL9-44 GEN:2 Telescopic Handlers provides the power to get work done effectively and efficiently. 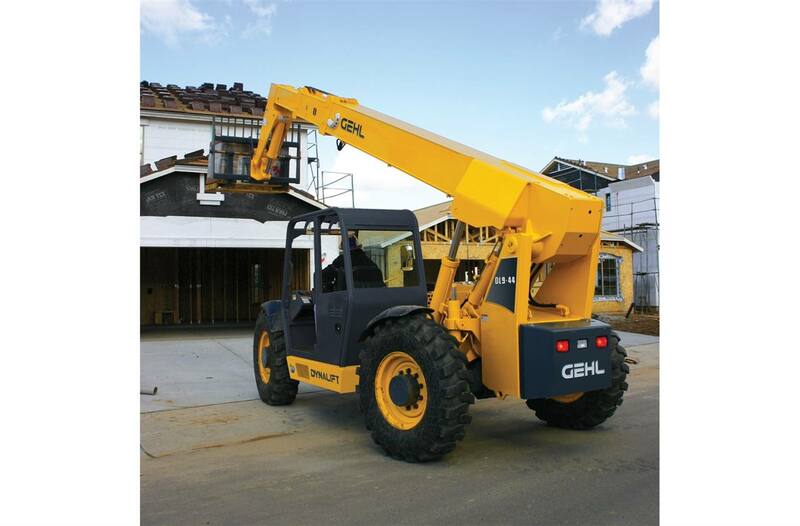 The DL9-44 GEN:2 Telescopic Handler has the hydraulic power to get the job done. There is a tool for every job, and the DL9-44 can power them all. Dynattach® Quick-Attach system allows quick attachment changes with unsurpassed ease. Carriages - Masonry, framing and standard carriages available in different widths. Rotating Carriage - 48" (1219 mm) and 66" (1676 mm) wide. Fork Shift - 48" (1219 mm) wide. Swing Carriage - 90° and 180° swing. Jib Boom - 5' (1.5 m) with winch and 60' (18.3 m) cable. Truss Boom - 12' (3.6 m) and 15' (4.5 m) with optional winch.